VideoBox Theme for Video Creators Released! 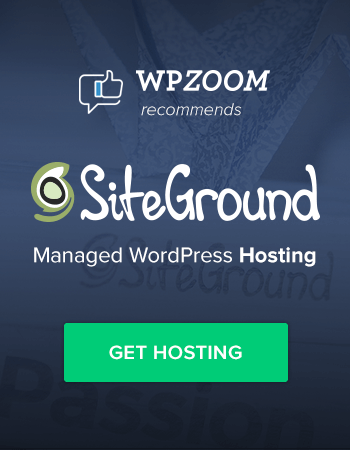 Big day for us at WPZOOM! 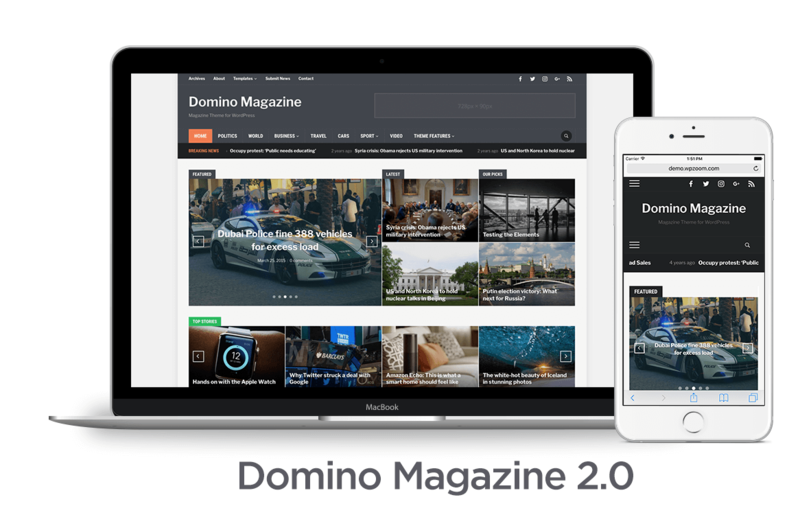 We’re very excited to announce the release of our new theme. 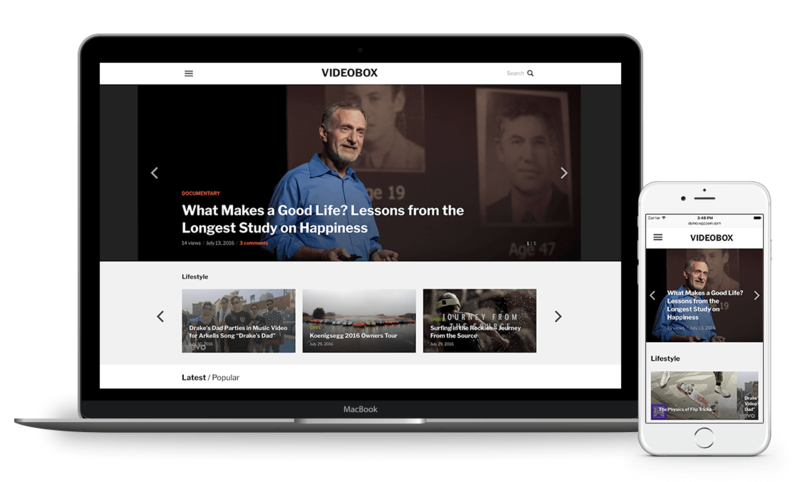 Meet VideoBox, a video theme for WordPress, perfect to showcase your video content on any device. 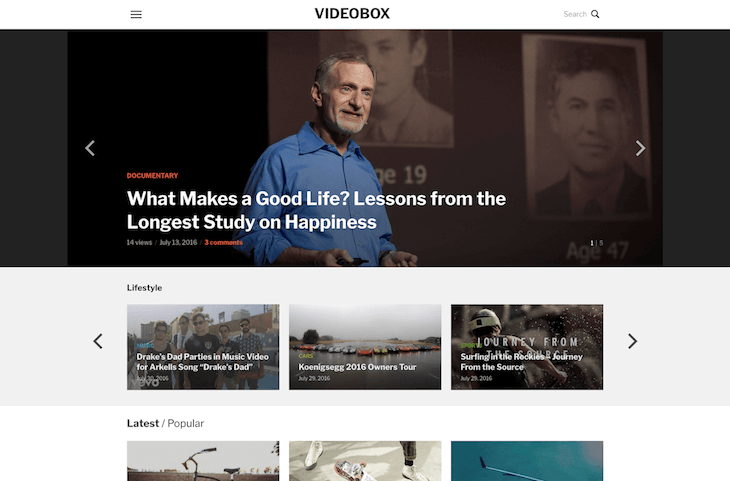 VideoBox features a fluid, responsive layout, so your pages will display perfectly across mobile and tablet devices. Videos and images scale seamlessly when resizing the browser window. Every detail of your website will look perfect and professional, regardless of what resolution or screen size visitors have. 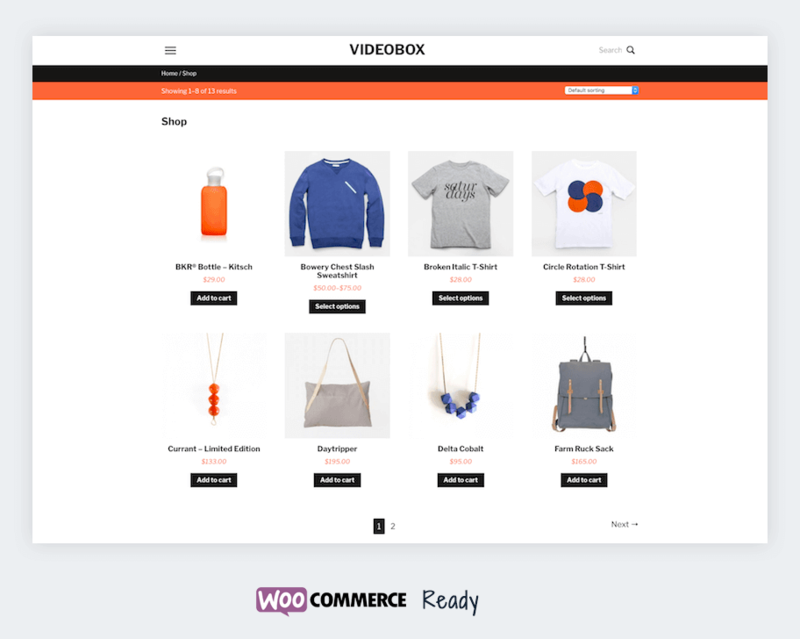 VideoBox theme was designed to support videos from almost any video site. We’ve tested it with videos from numerous popular video platforms, including: YouTube, Vimeo, Facebook Video, Instagram Video, DailyMotion, Brightcove, Amazon S3, and many others. When you embed videos from YouTube, Vimeo or DailyMotion the theme will automatically generate a thumbnail for your post, so you don’t have to add manually a Featured Image. 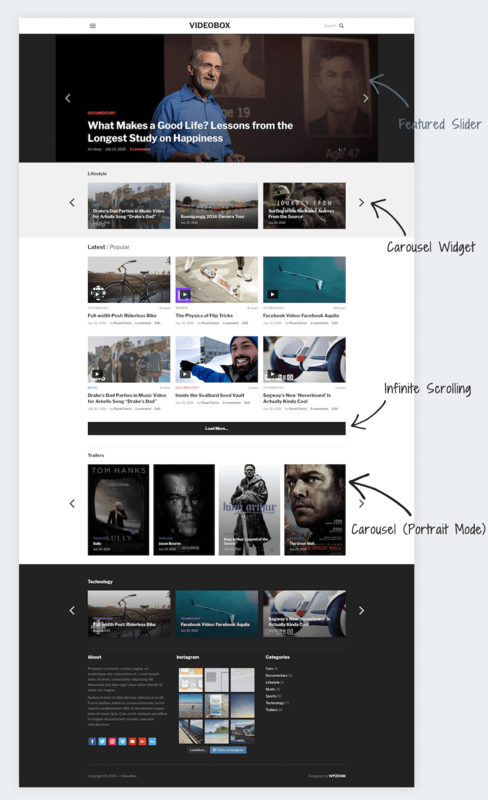 On the front page you can display a tab with the most popular videos along with recent posts. 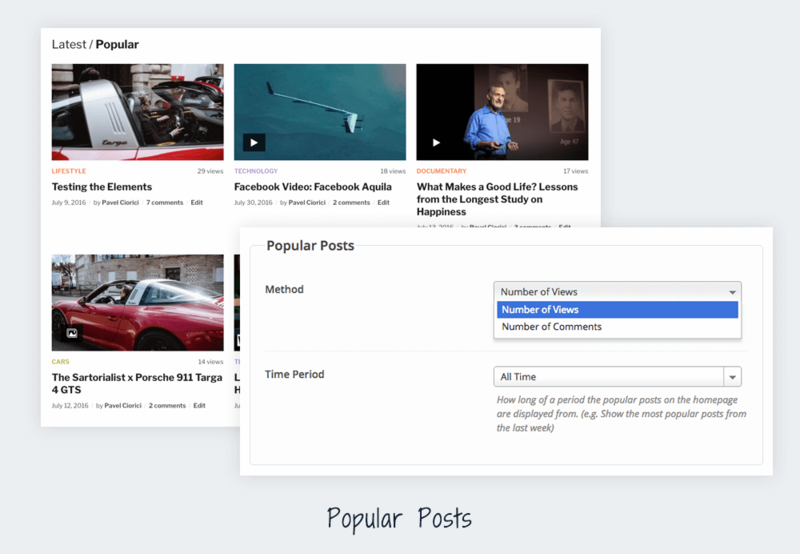 The popular tab can be customized, so you can choose the method to determine which posts to display: the ones with the most views or the most commented. You can also choose the period of which posts should be displayed. For example: most popular posts from all time, from this year or from this week. 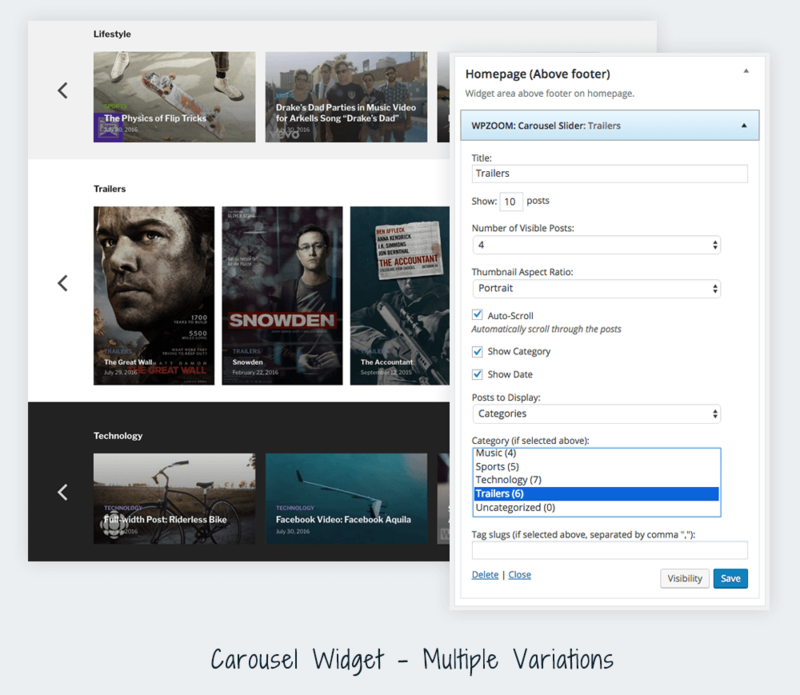 Videobox theme comes packaged with different custom widgets, including Carousel Widget, a highly customizable widget that can be placed in different locations, and it’s great to display posts from one or more categories. 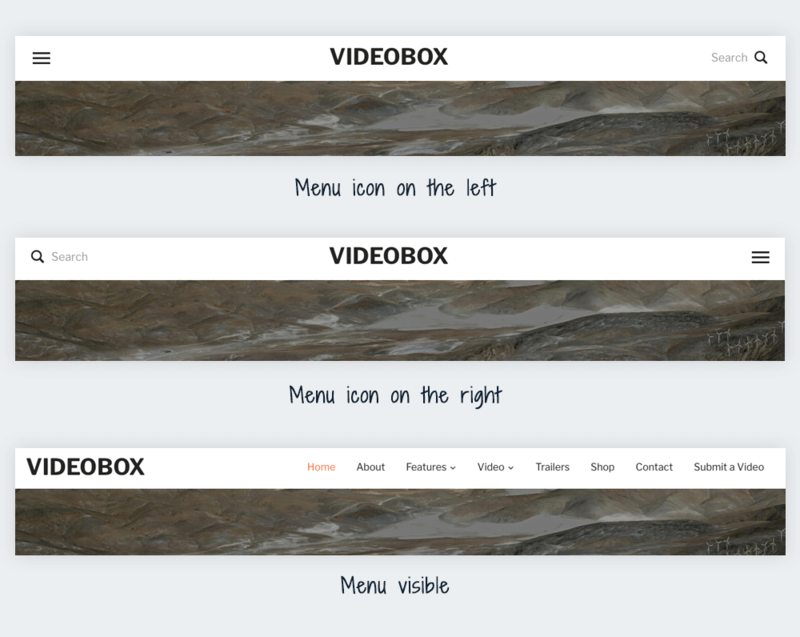 For more information about VideoBox theme see theme page or take a look at the live demo. Let us know what you think about new theme in the comments below! 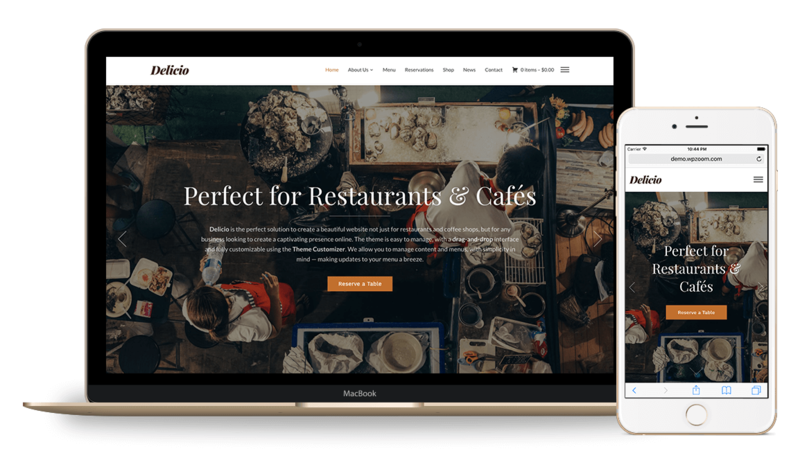 Delicio Theme for Restaurants & Coffee Shops Released! I love the new Videobox theme! Question: I will have postings that have NO videos. Will these still work? I am thinking I can set a featured image and proceed as usual with the posting. Is this a correct assumption? Thanks for your help and I’m seriously considering coming back to you! You’re right, the theme works great with non-video content as well. I knew it! I should have read more of the documentation. Sorry. 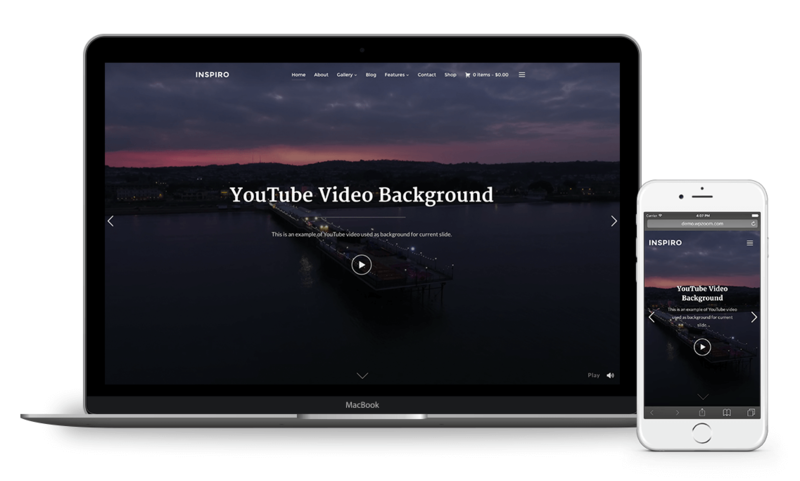 This template looks great for an interactive transmedia VOD venture. I love the responsive scaling. Am I right in thinking you can use it to create a varied media site with plenty of text and still photographic elements as well as a mix of movies – not just in terms of genre or topic – but curated free content and paid for content accessed through a paywall hosted elsewhere (like Vimeo Pro)? In this way annotated trailers play on the non-curated i.e. paid for section of the site which if they prove of interest to a browser easily and seamlessly link through to the paywall. I’d really like the paid for content to play through my site rather than take the viewer to another site, so ideally the link from the trailer would open a window on my site and serve its content from off it. Does this all look feasible in this template? Your comments would be appreciated. 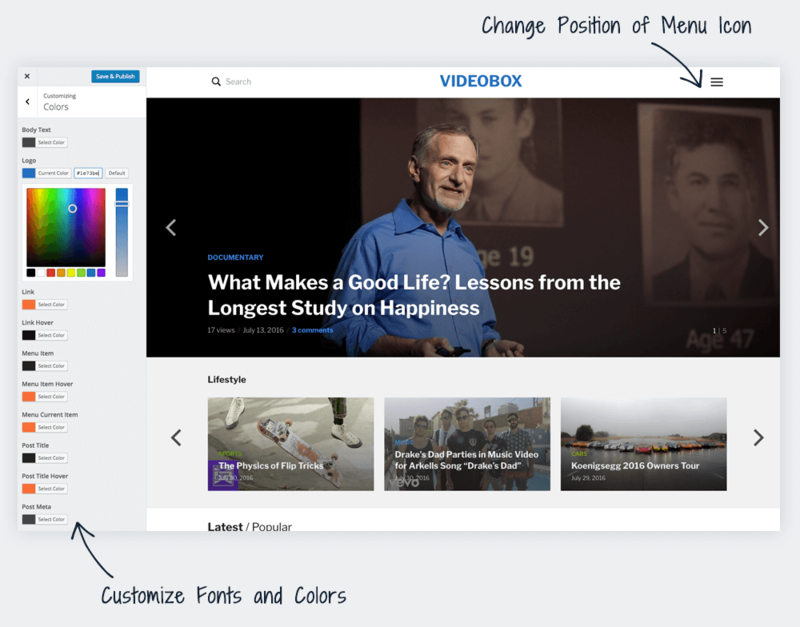 Sure, you can mix different types of content in this theme: text, images, videos. Using popular WordPress plugins like Restrict Content Pro or s2Member you can easily make specific content available only to paid users.